Joel Plevin is a 21 year old from Wilmington in the Flinders Rangers currently studying in Adelaide. He paints in a variety of styles varying from realism to abstract. His artwork is heavily influenced by the surrounding area which he loves to explore through motorbike and mountain bike riding. By doing this it gives his paintings a warmth and glow, which helps represent the magnificence of this area. Through the years his painting styles have changed however his direction of painting hasn’t. 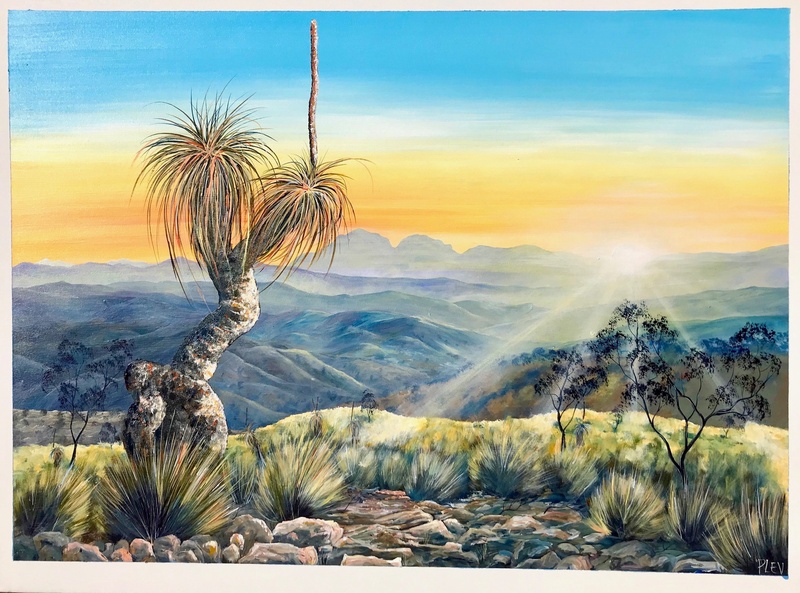 When painting he has one aim and that is to capture the charm and beauty of the South Australian landscape.